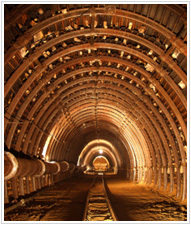 IGLs range of products finds wide use in the chemicals and other products used in the mining industry. These are tailor-made to customer-specific requirements. These find use in products for flotation of iron ore, cleaning of calcite and collectors for different types of silicate flotation. IGL is a leading manufacturer of emulsifiers for emulsion explosives. These are used in coal mining, concentration of ores, stick explosives, blasting explosives, water control and gelling agents, and flocculation and better recovery.